Many people in the United Kingdom suffer from either Fibromyalgia or Chronic Fatigue Syndrome (CFS). Chronic Fatigue Syndrome may be better known to you as M.E (Myalgic Encephalomyelitis) and currently there are around a quarter of a million known sufferers of the condition in the United Kingdom alone. Of course this does not obviously take into account the number of people who are waiting for a diagnosis because diagnosing either Fibromyalgia or Chronic Fatigue Syndrome (CFS) can take some time. Indeed there will be those among the population suffering from either condition who have not yet sought medical advice. Is There a Cure for Fibromyalgia or Chronic Fatigue Syndrome (CFS)? Unfortunately the answer to this question is no; there is no cure at the moment for either of these conditions and indeed doctors and scientists are still researching and discovering new aspects of each condition as time goes by. Where there is no cure for these conditions as a whole there are ways in which relieve can be given to certain aspects of them such as pain, problems with sleeping and other physical issues such as problems with blood pressure or libido. As many Fibromyalgia or M.E (Myalgic Encephalomyelitis) sufferers will tell you the main part of their problems with their conditions is pain; many of them suffer incredible pain which is something that non-sufferers find difficult to comprehend. This is because both conditions often do not exhibit any visual symptoms. Often sufferers of either condition will require medication for pain relief and many doctors will prescribe mild pain killers or even anti-depressants to help them cope. Both conditions cause muscle pain and stiffness and medications such as anti-depressants double up as muscle relaxants also. Again it is worth noting that your doctor will prescribe these only on a short term basis and you will have to see your doctor again before he or she will prescribe any more. Anti-depressants and sleeping medication are no longer prescribed on a repeat prescription basis and your doctor must be confident that you are using the medication in the right way and have not become dependant on it. As we have already mentioned your doctor may prescribe mild anti-depressants which also double up as muscle relaxants. He may also prescribe anti-depressants or mild sleeping pills if you are suffering from stress or anxiety – again both symptoms of both Fibromyalgia and M.E (Myalgic Encephalomyelitis). It is worth noting at this juncture that your doctor will only prescribe these anti-depressants and sleeping pills if he or she is convinced there is no other way in which to relieve stress or anxiety or indeed improve your sleep. 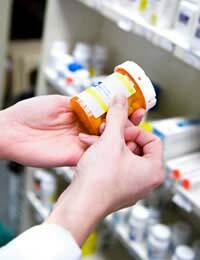 If your doctor prescribes pain medication for you then you should use it only as directed. There is a temptation for many chronic sufferers of either Fibromyalgia or Chronic Fatigue Syndrome to over compensate for the pain by taking more pain medication than is necessary. The point cannot be made strongly enough that this can be very dangerous. It is understood that taking addition pain relief medication may help with the pain, especially if chronic pain has reached the limits of your pain threshold, but exceeding the recommended dose and doing so regularly can cause liver and kidney function problems that if unchecked may cause permanent damage. You may find that if you have been prescribed a particular kind of pain relief medication your doctor may ask you to take part in a liver function test – this is to ensure that your liver and kidneys are functioning correctly and that the medication is not causing an adverse effects. It is advised that before embarking on any course of medication prescribed by your doctor that you ask as to the nature of the medication and also ask them to explain any possible side effects which may arise. Also if during the course of taking such medication other symptoms arise then you should cease the use of such medication until you have consulted with your doctor.